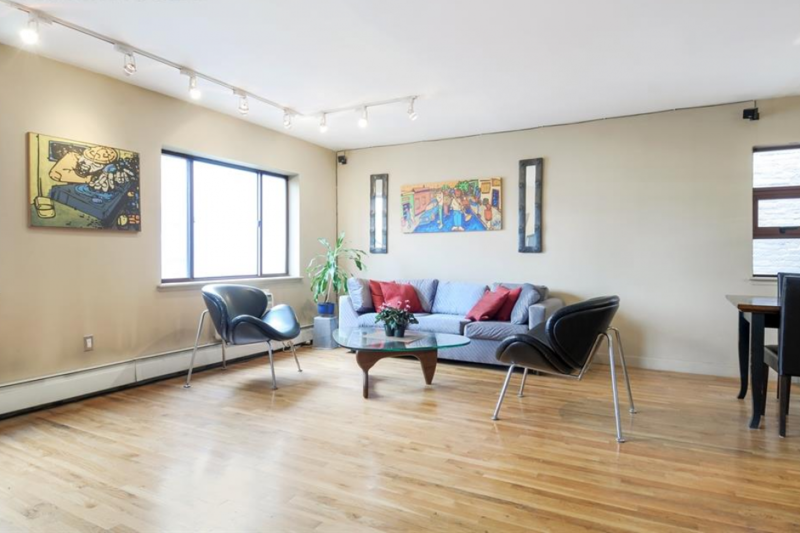 EAST VILLAGE: This two-bedroom condo includes an open kitchen and office space, as well as a spacious living room with room for a dining area. 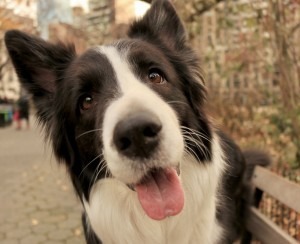 There's also a shared roof deck, and pets are permitted. Asking price: $1.165 million. Lena and Dave, a couple in their 30s, lived in New York City for many years, but once they decided to get married, they purchased a home on Long Island. They’ve since had two children, and despite the conveniences of suburban living—like a big backyard for their kids to play in, and a high-quality public school system—they often think about a return to the city, and wonder how far their finances would stretch there. 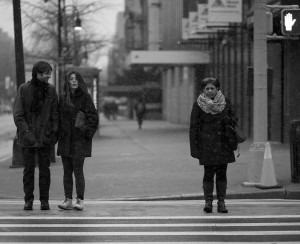 For our new column, What Can I Afford?, we feature would-be buyers interested in assessing what's financially reachable for them in NYC's often challenging sales market. To get a full picture of what they have to work with, we asked Lena and Dave—their names have been changed to protect their privacy given the disclosure of financial information—to give an accounting of their assets and debts. 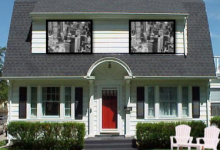 We also enlisted two experts—Ace Watanasuparp, vice president and regional manager at Citizens Bank, and Caroline Bass, a real estate broker with Citi Habitats—to crunch the numbers and give a rough estimate of what kind of home the couple could consider buying within the five boroughs. With combined liquid assets (that is, cash—he didn't factor in retirement funds because there are significant differences in how banks look at various types of accounts) and home equity totaling $170,000, and annual income plus bonuses totaling $310,000, he estimates that they could qualify for a loan of $1,080,000 on a condo, or $480,000 on a co-op. As the former typically requires a ten percent down payment, Watanasuparp notes, they’d be able to purchase a property valued at $1.2 million; the latter requires 20 percent down, meaning they could buy an apartment listed for up to $600,000. 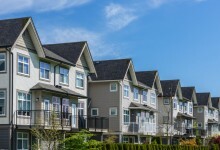 Watanasupurp explains: "The loan amount is so different because condos require 10 percent down, and they have enough assets that they can qualify for a loan of $1,080,000. 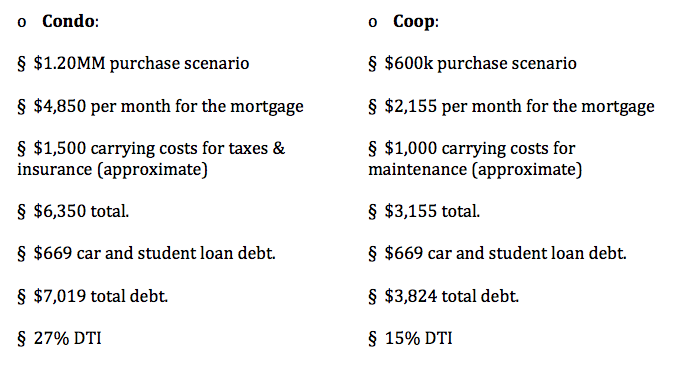 For co-ops, they could spend up to $600,000, because they require 20 percent down—it's more restrictive." DTI, which stands for debt-to-income ratio, considers the buyers' income divided by their overall liabilities—that is, housing expenses and recurring expenses combined. "The rule of thumb is to be below 32 percent," Watanasupurp says. "Based off their liquid assets—in other words, their down payment—they probably could have borrowed even more." Lena seemed surprised at Bass and Watanasupurp's take on what she and her husband could take on. "One seemed really high and one seemed really low. It's basically the story of my life: what is considered by most to be a really high salary, trumped by the craziness of having to pay through the roof for childcare with two working parents," she says. "$400,000 in the Bronx seems low, and sort of cements my reason for being in the burbs right now. And then on the other side, $1.2 million just sounds crazy to me. I see the numbers and think wait, we have very little left to save, yet I can go from a $507,00 mortgage to $1.2 million and all will be fine?" Watanasupurp explains that historically low mortgage interest rates account for the size of the loan he calculated. "People don't know how much they can qualify for, because they're still basing it on 2008 standards, but back then rates were at 6 percent. They're at half of that now, so buyers can qualify for double what they used to." Nevertheless, Lena says that for now, it may be best for her family to stay put, but a move back to the city isn't out of the question forever. "I think we will stay here, get through the years of paying through the roof for childcare, and then re-evaluate where we are in our careers and how much we can save. Without almost $40,000 cash going to childcare and some advances in our career, we should be able to save a bigger down payment at that point and be able to seriously consider where we want to be," she says. 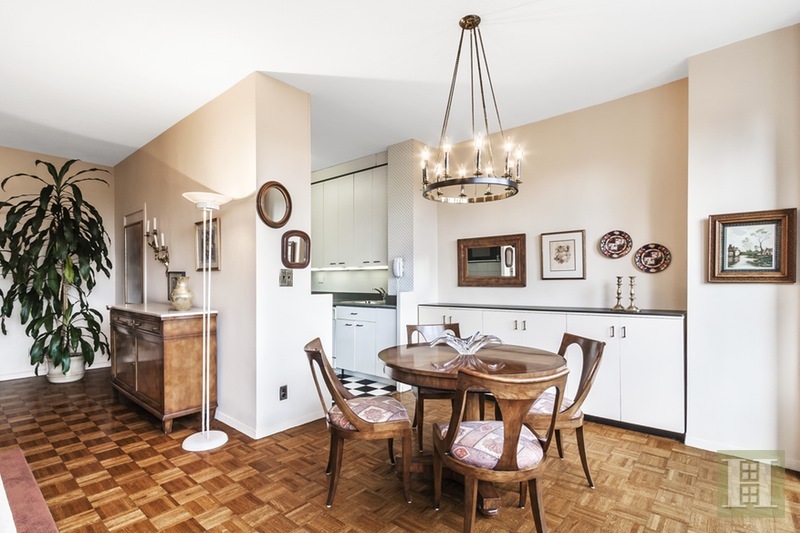 SPUYTEN DUYVIL, BRONX: This two-bedroom co-op is in a full-service, luxury property in this corner of family-friendly Riverdale, and includes a huge private patio. The building itself offers kid-pleasing amenities like a playground and pool, as well as 24-hour doorman service. Asking price: $397,000. 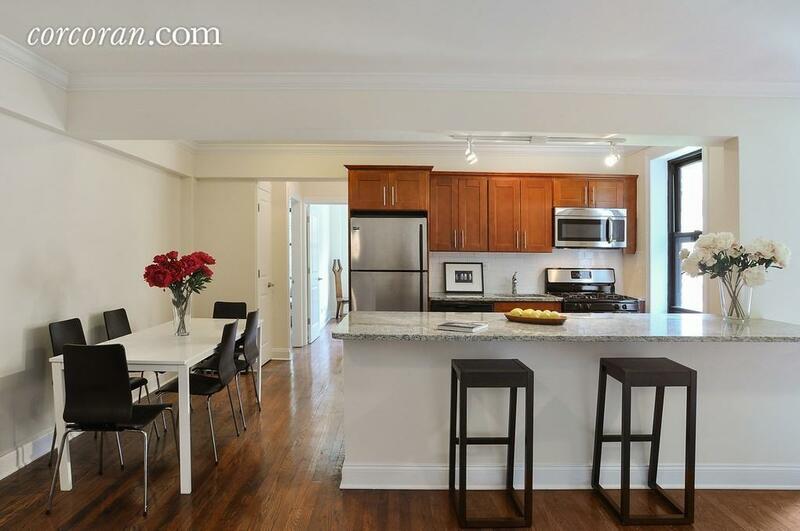 WOODSIDE, QUEENS: Both of the two bedrooms in this co-op are sizeable, and the apartment's high corner spot in the building means plenty of natural light. The kitchen has been recently renovated, and the apartment complex includes amenities like a playground with a wading pool as well as an indoor children's playroom, plus a live-in super. Asking price: $399,000. 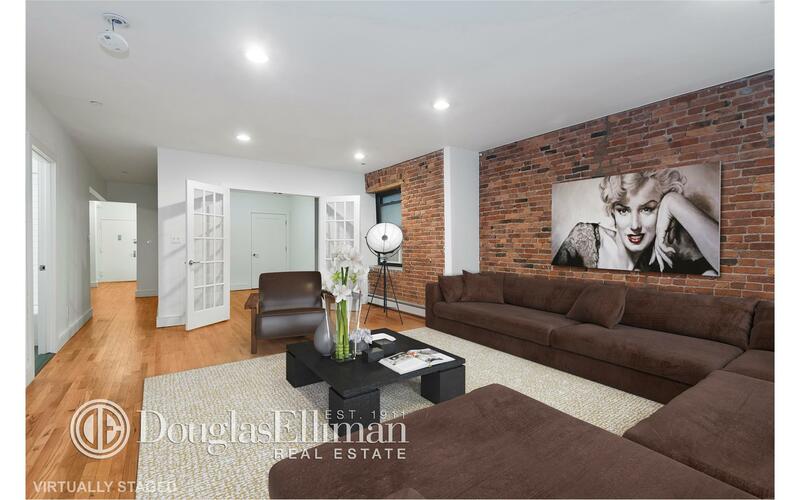 FULTON/SEAPORT, MANHATTAN: This two-bedroom, one-and-a-half-bath is in a renovated, historic building, and features coveted prewar details like high ceilings and exposed brick walls. The sleek, updated kitchen boasts top-of-the-line appliances, including an in-unit washer and dryer, and the property has a virtual doorman and live-in super. Asking price: $1.175 million. 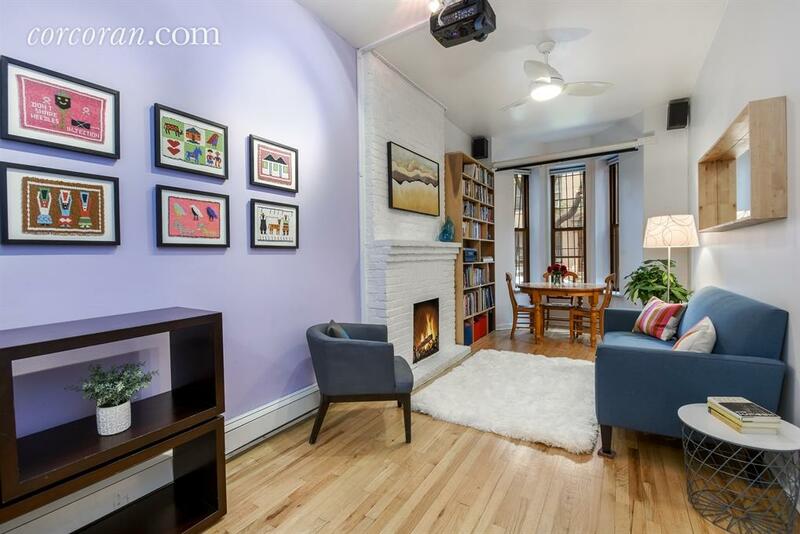 PARK SLOPE, BROOKLYN: This Brooklyn neighborhood is famously home to brigades of stroller-pushers, and if the couple is willing to head there, they'll be rewarded with this three-bedroom duplex. 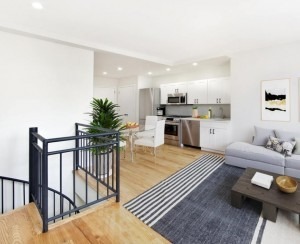 The home has an eat-in kitchen, play area, and private backyard, and is a quick trip to Prospect Park and all the transit options at Atlantic Terminal. Asking price: $1.15 million. 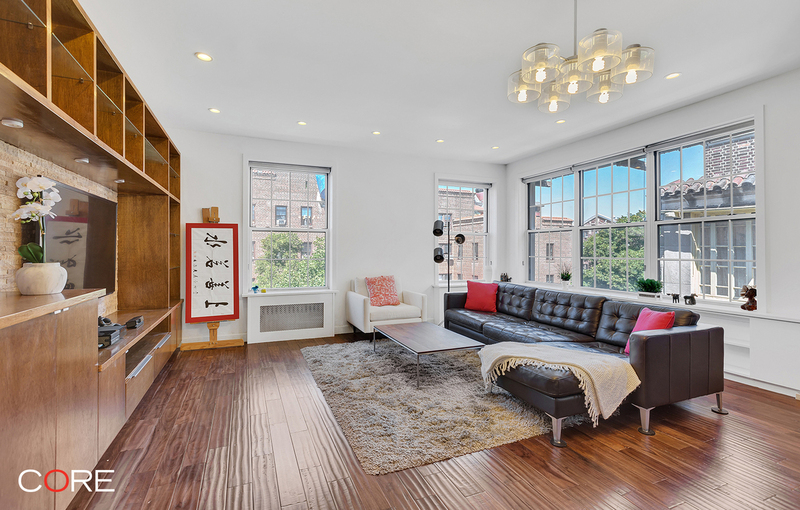 HUDSON HEIGHTS, MANHATTAN: This two-bedroom renovated sponsor unit doesn't require board approval, sparing buyers some headaches. 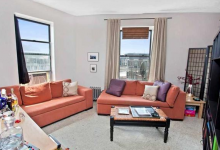 There's an open kitchen and spacious living room; the building is right next to Fort Tryon Park and has a live-in super. Asking price: $570,000. 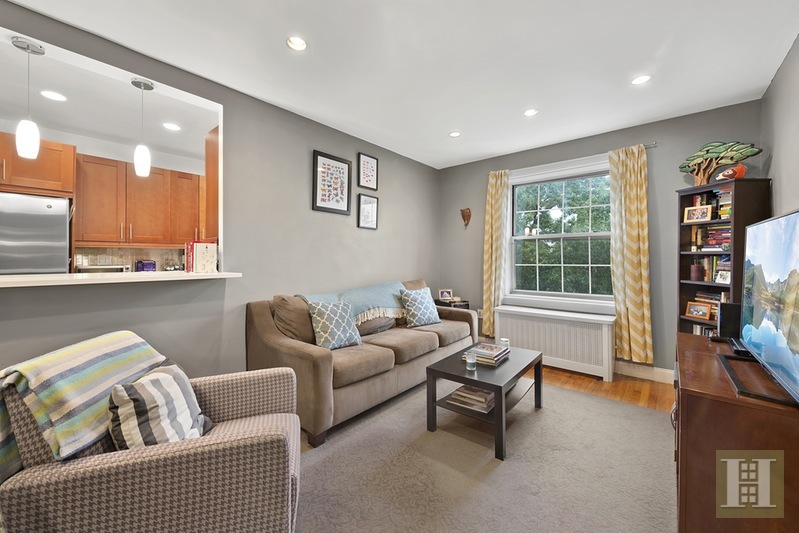 JACKSON HEIGHTS, QUEENS: This fully renovated two-bedroom has a spacious, open-plan living and dining area, brightly illuminated thanks to its corner position and oversize windows. The upgraded kitchen boasts marble countertops, stainless steel appliances, and an island that makes entertaining easy. Plus, the unit comes with additional basement storage, and the co-op complex has a shared garden and deck. Asking price: $600,000.